The booking wizard, or booking form, is what your client uses to book appointments, lessons and so on from your website. Since you might be selling a service which is not referred to as an appointment, the default phrasing we used might not work for you. That is why we introduced the Wizard Customization settings. By clicking on any of the text within the wizard (form) preview, you can change the text to whatever you wish. 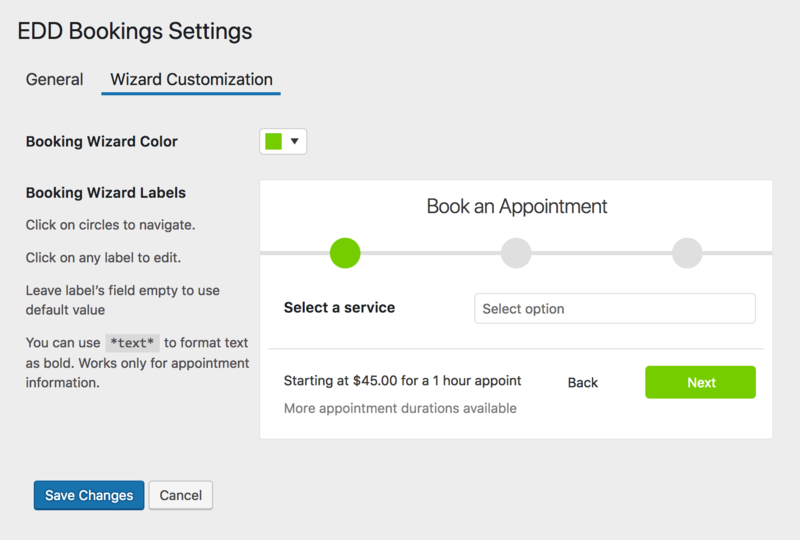 Every line of text, including the buttons, can be customized just the way you need it.